By offering a cohesive website and multi-functional platform, we helped this major non-profit boost donations, streamline volunteer opportunities, and achieve efficient workflows. 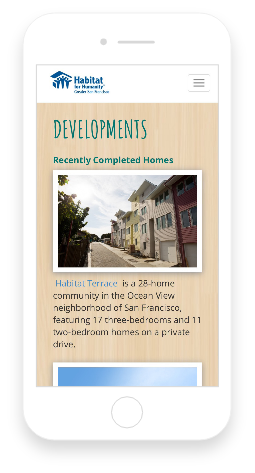 Habitat for Humanity Greater San Francisco is an independently funded local affiliate of Habitat for Humanity International, serving communities in Marin, San Francisco, and San Mateo counties. Its mission is to provide local families with a springboard to secure, stable futures through affordable homeownership, financial literacy and neighborhood revitalization. Habitat Greater San Francisco also owns and operates a ReStore, a volunteer-supported, discount home improvement store in San Carlos. Proceeds from all ReStore sales fund Habitat Greater San Francisco’s homebuilding and neighborhood revitalization efforts. The collection of used items also has helped divert thousands of tons of waste from landfills. 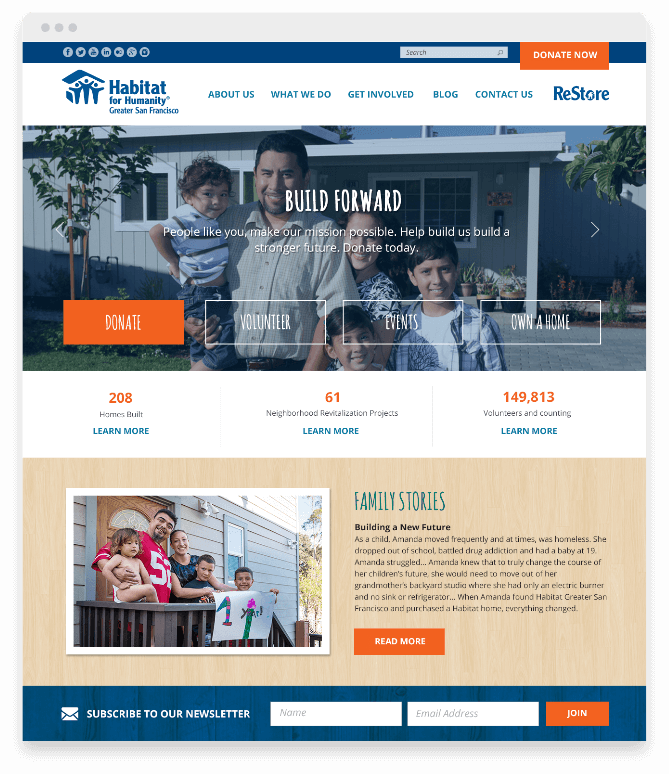 Although the Habitat Greater San Francisco website had been redesigned in 2012, it still had numerous challenges that kept it from being effective for visitors, donors, volunteers, and staff. The site wasn’t mobile-friendly, there was no way to do A/B testing, and it was only one of several platforms being used by the organization. Different tools were utilized for volunteer management, email marketing, website content, social media management, and customer relationship management. To toggle from one function to another, a staff member would have to log out of one platform and log in to another, often multiple times per day. Productivity definitely took a hit, notes Samantha Salas, Digital Marketing and Web Content Manager at Habitat Greater San Francisco. Another factor was the ReStore, she added. 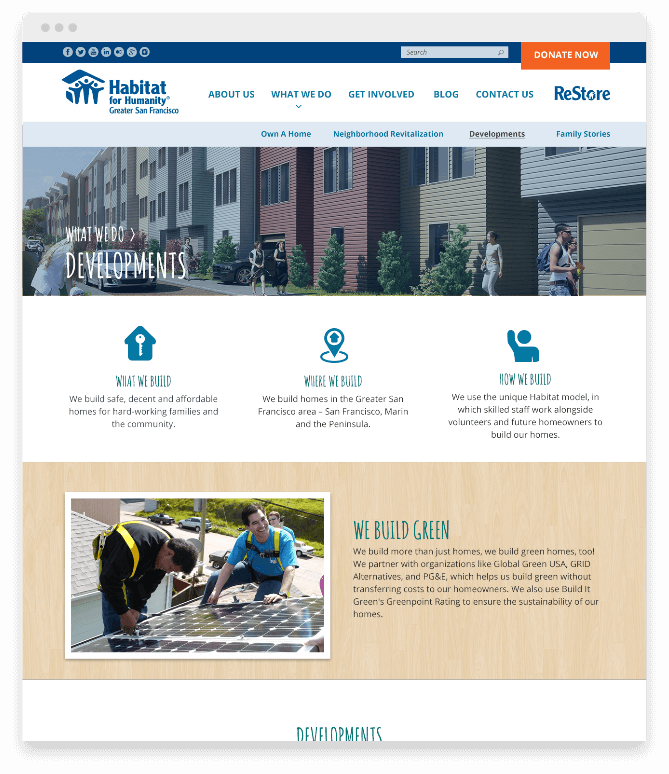 Although connected to Habitat, the store required its own microsite rather than a page on the Habitat site. Without an autonomous online presence, the retail operation was struggling to do more brand marketing and to update its content with SEO in mind. Just knowing that SmartBug employees are involved with nonprofits on a personal basis, was a huge plus for us." Implementing the HubSpot COS (Content Optimization System), and providing both site and microsite design, we focused on providing Habitat with a solid foundation for its digital operations: HubSpot COS Development. Unified, more functional customer management system for communicating with donors, volunteers and advocates. 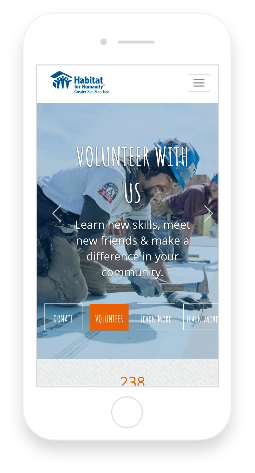 Mobile-friendly pages that are easy to navigate and encourage donations and volunteer sign-ups. Website design that "got the brand" immediately, with minimal revisions. 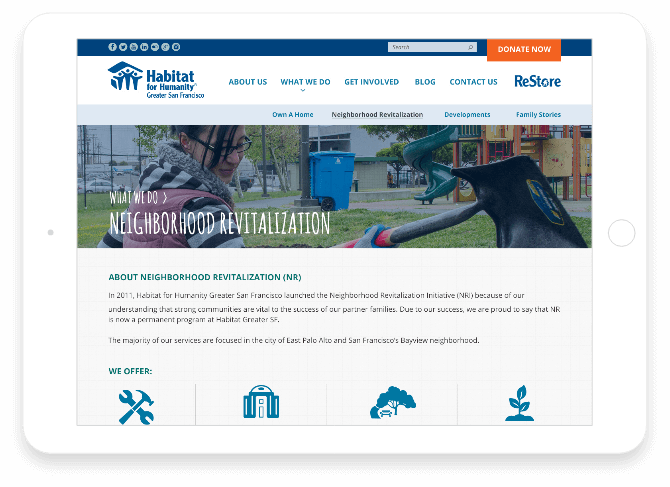 Effective launch of ReStore microsite that fulfilled the retailer's requirements for both autonomy and connection with Habitat Greater San Francisco.